We are specialists in Extra Virgin Olive Oil “Private Label"
We carefully produce Extra Virgin Olive Oil with the highest quality standards. With own olives, traceability, controls from the olive tree to the entrance to the mill, chemical and organoleptic analysis of each batch every week. With the main food certifications: Seal of DOP SIURANA, CCPAE Agriculture EU (ES-ECO-019-CT), HACCP and FDA, among others. We pack only on request and with nitrogen, thus maintaining the maximum quantity of EVOO qualities until consumption. Our commitment to quality is backed by the main food certifications. Our mill and machinery are state of the art. We have a cellar (ware house) with controlled temperature along all year round between 16º-18º Celsius, which allows us to keep the EVOO as the first day. We separate the production in batches and filter everything after 3 months. In this way the final product is always of excellent quality. We have over 70 years of experience and more than 20 private labels in different world markets in Asia, Europe, North America, etc. 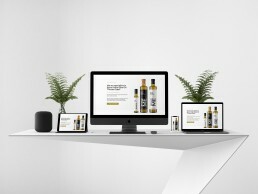 Do you want to launch your own brand of EVOO? If you want to launch your own brand to the Market and want to outsource your production, we offer you the possibility of PRIVATE LABEL. We are prepared to work with the Large Retail Sector, a Distributor or HORECA sector. We can develop the product and the format under the specifications you need. Are you a recognized brand and want to outsource your production? We always work so that the end customer is satisfied in every way, and your company only has to focus on marketing. Because as producers and packers, we want to be your ideal partner. PET, Glass, Tin Can and Bag In Box. Bag In Box: 1 liter, 2 liters, 3 liters, 5 liters, 10 liters. Interested in the organic market? Do not miss the "boom" of organic products. A market in constant growth. The present and future of food. 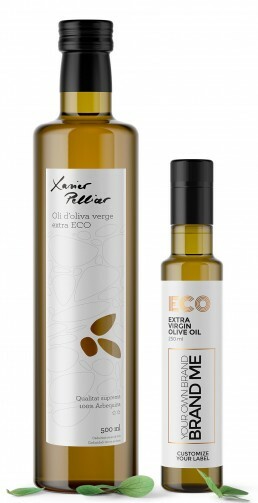 Our ECO EVOO has been selected by the renowned Chef Xavier Pellicer (2 Michelin stars) to make his own brand “Xavier Pellicer”, among other great chefs and companies that already ECO market. 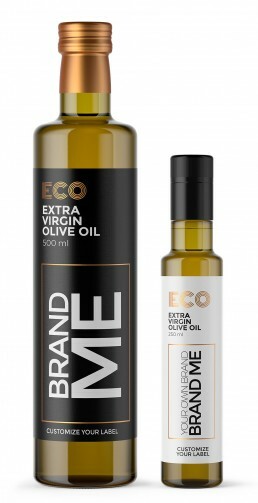 Our EVOO ECO has been selected by the renowned Chef Xavier Pellicer (2 Michelin stars) to make his own brand “Xavier Pellicer”, among other great chefs and companies that already market ECO. 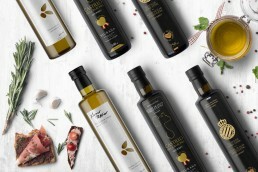 We convert your EVOO Private Label into a recognized brand in the market. Web design, packaging, labeling, social networks. Product - labels - website / online store - high quality 3D images of your product - social networks. Turnkey product. Your EVOO ready to go to the market with maximum guarantees. In a market as competitive and demanding as the current one, it is vital to launch your product with the best guarantees of success. Launching a product to the market is not an easy task. We know this because we have done it on many occasions ourselves. We know first hand what you need to do to position your product and help you make it a sales success. That is why we put at your disposal the design and marketing services with which we ourselves work. From the creation of your website to the design of high quality premium images of your containers and bottles so you can use them in advertising and marketing campaigns. Leave everything in our hands. Or if you prefer, fill out the form below, drop us some lines and we will get back to you as soon as possible.